Member of DeMolay consistory.� A.A.S.R.Masons, Brotherhood of Locomotive Engineers; First Baptist Church. Lived at 445 Eighth Ave, So. when he died. In the 1900 & 1910 census the family is living on Olney Ave. in Clinton.� Eleanor has had 6 children with 5 surviving.� Clayton is an Engineer.� In 1920 the family is living on 8th Ave. between 4th &5th St.� Isabel and Esther are living with their parents and both are working as stenographers.� Clayton is working as a railroad engineer.� Retired by 1930 Clayton and Eleanor are still living on So. 8th Ave.� Also living in the household are their daughter Mae and husband George Boudman.� George is working as a plasterer. Found this couple living in Los Angeles on� South Normandy Ave in the 1930 census.� He was employed as a Real Estate Broker and she worked for the Public Health Dept.�� In 1920 they were living in LA on W. 39th St.� He was a real estate salesman and she was a trained nurse working for the city Health Dept. Was living in Clinton, in 1918 & 1935. Salt Lake City, Utah in 1918. Waterloo in 1935 per mother's obit. In the 1910 census Ralph is living with his Aunt and Uncle Leander and Agnes Turner in Los Angeles.� He is working as a collector at a lumber yard. Was living in Clinton in 1918. Was living in Los Angeles, 1935 per obit of mother.� Esther is living in Los Angeles, CA in the 1930 census as a boarder.� She is working as a stenographer in a department store. 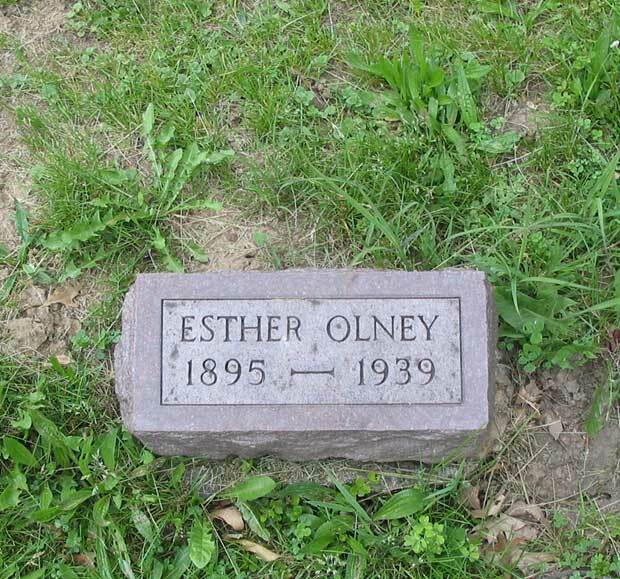 Esther died in California but was buried in Sprindale Cemetery in Clinton, IA. Was living in Washington, DC in 1918.� Was living in Chicago in 1935 per mother's obit.